According to a study recently published in the journal Biology Letters, more than 80,000 reindeer starved to death on the Yamal Peninsula in two mass mortality events during the last ten years. In both events – one in 2006 and one in 2013 – abnormally thick layers of snow and ice made it impossible for the reindeer to access the vegetation on which they survive. Researchers say that, in both instances, unusually warm temperatures caused sea ice in the region to melt. The melting ice produced lots of evaporation and humidity, which in turn resulted in heavy rain. The rain soaked the snow on the peninsula in what scientists refer to as an ROS or Rain-On-Snow event. The ROS was followed by colder temperatures, which caused the precipitation to solidify into a massive, impenetrable block of ice. Reindeer have always used their feet to chip through ice in order to access food, but the ROS-created ice in 2006 and 2013 was far too thick for the animals to penetrate, leading to the massive die-offs. 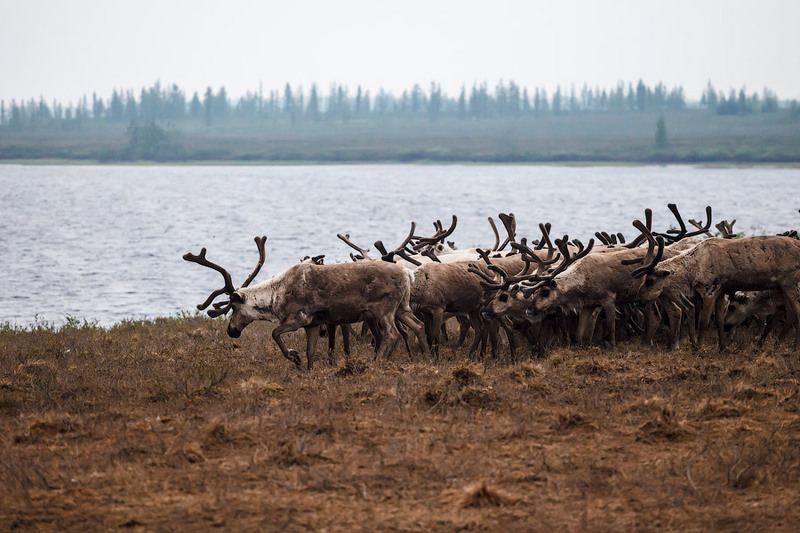 As the climate continues to warm, more frequent and more intense rainfall is predicted for the Yamal Peninsula, which will threaten reindeer populations further and the communities that rely upon them to survive. Photo, posted June 21, 2012, courtesy of Aleksandr Popov via Flickr. ‘Climate Change and Reindeer’ from Earth Wise is a production of WAMC Northeast Public Radio.